Having a reliable North Hampstead electrician is important for every homeowner. Sure Line Electric has the experience and knowledge to help you with all of your electrical needs from a panel upgrade to diagnosing faulty wiring. We are here to make sure that you have a helping hand in the event of an electrical issue or if you have any concerns that need to be addressed. Only a licensed professional should undertake any task pertaining to your home’s electrical system because of the risk of shock. Don’t risk yourself for something that we will be glad to do for you quickly and efficiently. You can always rely on the professionals at Sure Line to have you interests at heart. Electrical panels are also called breaker boxes because they are where your home’s circuit breakers are installed. These monitor the electrical load on any given circuit at a time and act as an emergency shut off in the case of an overload. It is important to make sure that your electrical panel is up to date because if your home’s electrical demands outweigh the ability of your panel to keep up, circuits will continue to “pop” under the strain. Your electrical system is a necessary but delicate part of your home. When one part of that system malfunctions, you are at risk of further damage or serious repercussions. In the best case scenario it meant that your wiring will not work and you will lose access to an outlet or two. In the worst case, if gone unchecked, it could result in sparking and a fire. Our trained and licensed electricians are very skilled at pinpointing electrical issues and diagnosing the cause so they can efficiently repair them so you can get back to your normal routine. 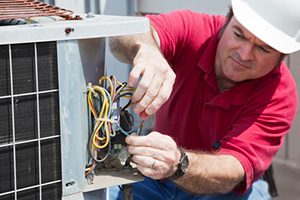 Having routine electrical inspections will ensure that your system is functioning properly. The expert electricians at Sure Line will thoroughly examine your system for any faulty wiring, malfunctioning outlets or any other discrepancies. We not only help diagnose problems affecting your system at this moment, we help point out potential threats that may become worse in the future. Don’t wait until it is too late to schedule a routine electrical inspection. You will be surprised by the amount of electrical damage we can thwart just by testing your system for malfunctioning parts. Give us a call to learn more about our Town Of North Hampstead services or to schedule an appointment at 631-240-9663, or fill out our request service form.